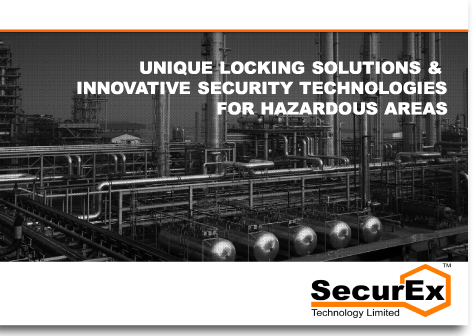 SecurEx Technology, the UK’s leading specialist provider of security products and solutions for hazardous areas is pleased to announce the launch of the worlds first true Ex certified security Magnetic Locking system (Magbar). The 5th November is a notorious date in the UK calendar associated as it is with the Gunpowder Plot, fireworks and things that go off with a bang. But our new locking system is designed to ensure things do not ‘go bang’ in a hazardous environment. Whilst Magbar’s and magnetic locks are quite common in safe areas, until now no real comparable solutions existed suitable for use in hazardous environments. With the launch of our new, unique market leading innovative product, all this changes –our magnetic locking product has been designed with added security features designed in to ensure it stays ahead of the game for even longer. Developed by SecurEx and manufactured under license by our sister company The Wath Group, the unique SX Magnetic Door Lock has been specifically designed to be a true ‘Ex Certified’ Security Locking product. Elegantly designed with both ‘form and function’ in mind, the lock is manufactured from a single solid block of 316L stainless steel and is supplied factory fitted with a 5-metre multi-core user cable. Incorporating door status monitoring with changeover contacts as standard, when used as part of an integrated access control solution this product can provide both enhanced safety and security for personnel. The fully sealed IP 66/67*unit is suitable for use in both on-shore and offshore environments. As standard the lock is available in a choice of 12 or 24 VDC versions and is provided with a special Door Keeper unit that includes a door magnet. 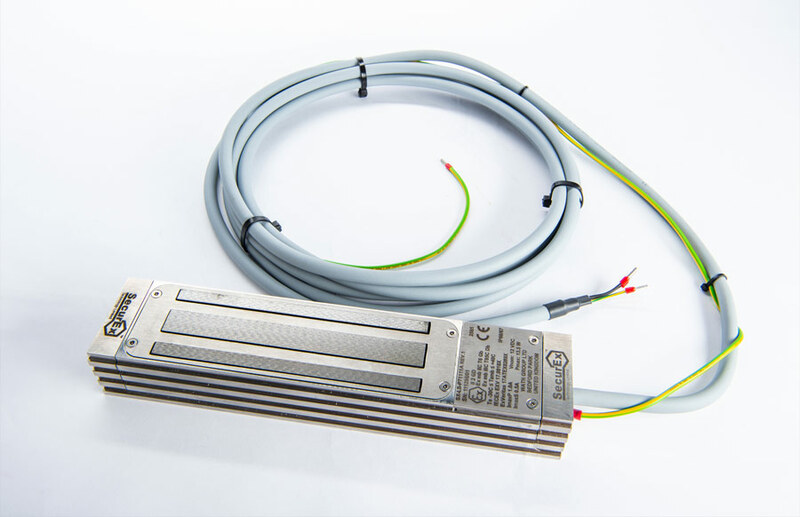 For High Security applications, the product has been designed with special versions available providing either ‘Grade 2’ (SEOL) or ‘Grade 3’(TEOL) door status, anti tamper and product fault monitoring. The lock can also be upgraded by the optional addition of specially designed ‘L’ or ‘Z’ mounting brackets allowing easy installation in a wide variety of door configurations.